With football’s return on the horizon, Hail Varsity is previewing the season by highlighting the strengths and weaknesses of each position group through the scope of key numbers. After kicking things off on offense with the quarterbacks on Tuesday, we’re flipping over to the other side of the ball and taking a look at the defensive line. In Bob Diaco’s defensive scheme, the defensive line’s job was primarily to eat up blockers and let the linebackers make plays. Unfortunately, they didn’t do that all that well and the linebackers didn’t make many plays either. Granted, that “block destruction” role is an important one for defensive linemen in any 3-4 defense. However, in Erik Chinander’s version, the linemen are encouraged to be playmakers in their own right in addition to swallowing up blockers. Reports from spring ball showed notable enthusiasm about a chance to get after the ball-carrier, and that is a vital part of Chinander’s defense. At Central Florida, the defensive lineman produced 27 tackles for loss, almost three times what Nebraska’s did last season. The linebackers will certainly have to pick it up, but Chinander’s defense is not going to be successful in Lincoln if the line isn’t more disruptive at the point of attack. I had to look long and hard to find one number related to the defensive line that could be considered a positive for the Huskers last year. 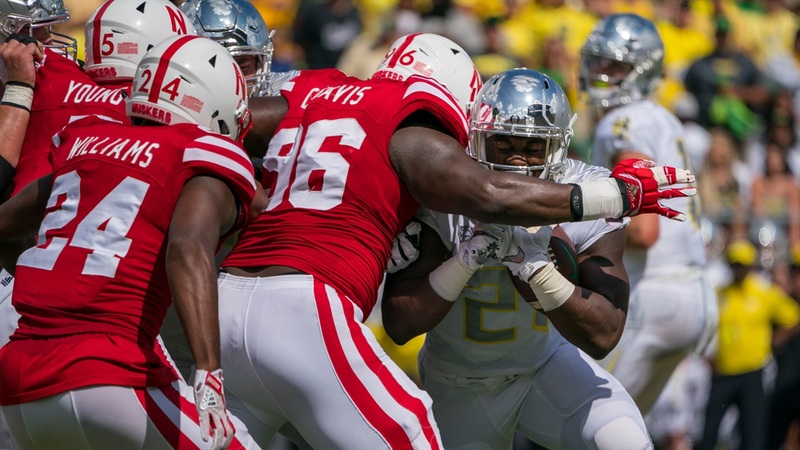 Nebraska’s pass rush was terrible and it’s run defense wasn’t any better. As a unit, the defensive line failed last season. However, when you look at the group from an individual standpoint, one Blackshirt stands out. Teams found little success when Carlos Davis was involved in the play. Davis’ success rate was the best on the team, and with 30 tackles on the season it means he was involved more often than the others who were close to him (Mick Stoltenberg, 21.2 percent on 22.5 tackles; Deontre Thomas, 21.4 percent on 9.5 tackles). For comparison’s sake, former Ohio State and current Cincinnati Bengals defensive end Sam Hubbard’s defensive success rate last year was 21.4 percent. Nebraska’s next best defender by success rate was Ben Stille at 25 percent. Stille split his snaps between defensive end and outside linebacker last season but has moved to defensive end full-time and packed on the pounds in muscle. Davis, Stoltenberg and Stille seem to form a formidable front and a solid core to build a defense around.